Originally from West Hills, California, Rabbi Dinin received semikha from Yeshivat Chovevei Torah in 2015. 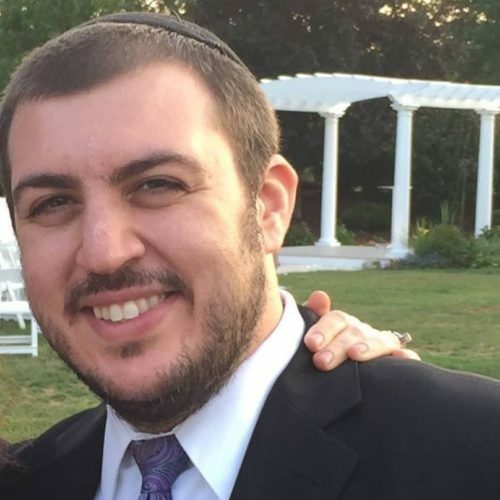 During his time at YCT, he served as the Rabbinic Intern at both Congregation Beth Tefillah in Paramus, New Jersey, and The Roslyn Synagogue on Long Island. His first position as an ordained rabbi was at MMAE (Moses Montefiore Anshe Emunah) in Baltimore where he served for three incredible years as their Associate Rabbi. During his final year in Baltimore, he also taught the 2nd grade at Ohr Chadash Academy. He has two wonderful children, Michael and Meira, with his beloved wife Sarah. Ready to Get More Involved?